Soak Vermicelli Bean Thread noodles in a small amount of water to soften. Bring a large pot or braiser to heat over medium heat. Add oil, then add onion and stir to coat. Saute until softened. Add garlic and ginger and sauté for a few minutes, being careful not to let anything brown. Add ½ or 1 cup chicken stock and a few splashes soy sauce. Let simmer and reduce. Continue to add this amount of stock and soy sauce, heating until simmering and reducing. Be patient with this process. You want to create a really good sauce for the noodles to soak up. One you've used the entire quart of chicken stock and roughly 1/4 cup soy sauce, add shredded chicken and allow to soak up sauce. Working in layers, add a handful of noodles to a large pot. 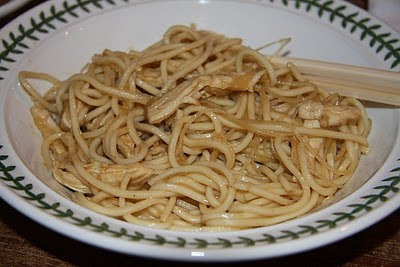 Top with bean thread noodles, then 1/4 of the chicken with sauce. Continue to layer a bit of each and mix together to combine. I like to stop adding noodles when there’s still a bit of sauce accumulated at the bottom of the pan because the noodles will continue to soak up the liquid. * We like to stir in a few splashes of Sriracha to ours. I've also been skipping the Vermicelli Bean Thread noodles because the kids didn't like them. It's just as good without. "After seeing a YouTube video of Jorge Narvaez and his adorable 6-year-old daughter Alexa performing a duet, Ellen invited them to perform on the show -- and they were incredible!" 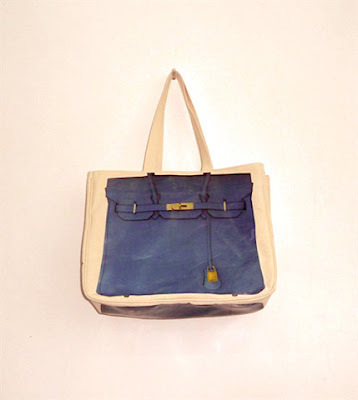 Read about the latest "Birkin" bag in the NYT Magazine article "Ceci N’est Pas un Birkin". 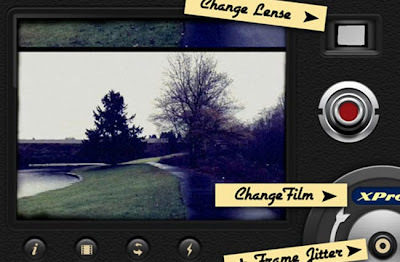 I am having so much fun with this 8mm Vintage Camera app on my iPhone. It's so cool. Love it! Tonight I made a recipe for Chicken Galliano from Saveur magazine. I'd never heard of Galliano before but the photo caught my eye, as did the recipe when I read it... chicken flattened and rolled up with goat cheese and prosciutto, browned in butter and oil, then finished with sauce. As Ina would say, "How bad can that be?". 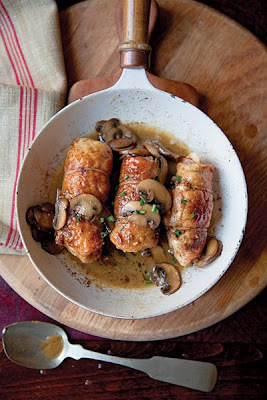 "Galliano, an Italian liqueur flavored with 30 herbs and spices, including anise and vanilla, gives the sauce for these stuffed chicken breasts a complex sweetness." The dish was delicious and very flavorful. The Galliano offered a new burst of flavor to our palate having never tasted it before and not knowing what to expect. The mushrooms were especially delicious having soaked up a lot of the sauce. I will make this recipe again, although I will make a few adjustments. I only had 2 chicken breasts so I made 4 rolls. I did half the mushrooms and the same measurements for the sauce. The amount of chicken was perfect for my family but we are suckers for sauce, especially when served with white rice. Next time I might use half the chicken it calls for (3 chicken breasts instead of 6), use a ton more mushrooms and double the sauce (using 1/2 cup Galliano liqueur and 3 cups chicken stock). It means it will take longer to reduce the sauce but the ratio of liqueur to stock will still be the same and I think the sauce (and all those mushrooms) will be fantastic drizzled over the chicken and rice. We shall see. I also had a few pieces of chicken that didn't cook all the way through which can be hard to detect when it's rolled like it is. I think having more sauce to reheat the chicken in would help finish off any additional cooking needed. Flavorful recipe to try if you're looking for something new and different. Bon appetit! My friend Marly's mom, Tami, is a great cook and whipped up a delicious scramble for us Sunday morning while we all tried to think of a name for their new Miniature Dachshund puppy. 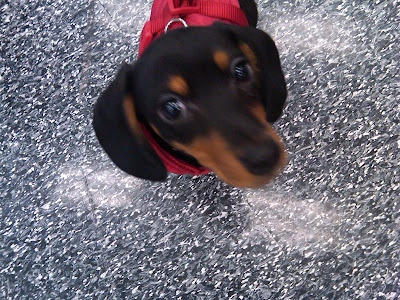 The name had to complement their other Miniature Dachshund's name which is Stanley. Marly came up with Dan and we were full of belly laughs. Dan & Stan. Perfection. So here's Tami's delicious scramble recipe which I named in honor of the new brothers, Dan & Stan. Brothers. Friends. Lifelong partners to be. Heat a bit of butter (can combine butter and canola oil if you prefer) in a pan and saute the mushrooms and garlic. Add the sun-dried tomatoes. Saute for a few minutes. Scramble eggs and add a bit of milk. Add a bit more butter to the pan and add eggs. Cook, stirring occasionally, until eggs are scrambled. 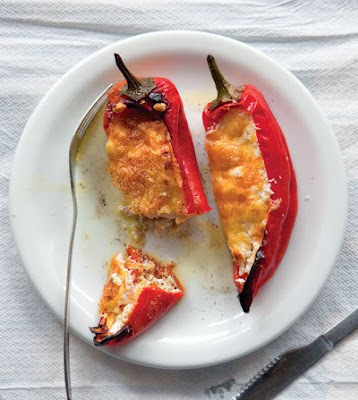 Top with grated Gruyere and serve with great toast. TRUE NOBILITY ISN'T ABOUT BEING BETTER THAN ANYONE ELSE; IT'S ABOUT BEING BETTER THAN YOU USED TO BE. 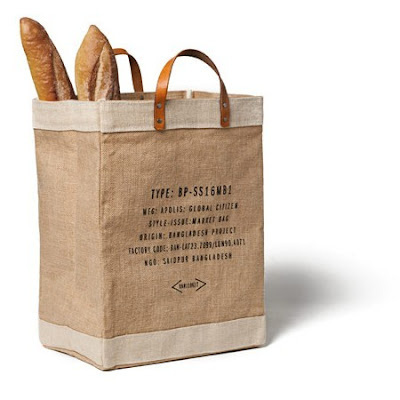 I'm sure there's some great recipes on this list: Saveur's Favorite Recipes of 2010. Can't wait to go through it. I'm already salivating at the first photo. 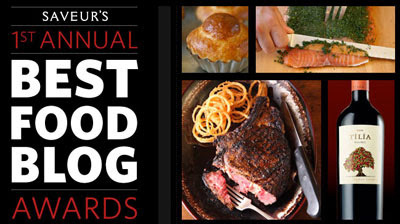 Check out SAVEUR's 1st Annual Food Blog Awards. Some you probably visit regularly and maybe a few new ones. Act Today Or Kiss Your Organics Goodbye! After years of bureaucratic wrangling, Secretary Vilsack and the Obama administration are only days away from approving Monsanto’s genetically modified (GMO) alfalfa. If approved, GMO alfalfa will fundamentally undermine the entire organic industry overnight. In addition, the USDA says American consumers don't care about the contamination of organics. And stay tuned. I started blog posts about GMOs in both September 2009 and September 2010. Maybe I'll finish one of them before September 2011 rolls around. Wow, great article!.... The Cruelty Crisis: Bullying Isn't a School Problem, It's a National Pastime by by Brené Brown, Ph.D., LMSW. Considering I'm an avid Real Housewives viewer, I feel a little gross right now. I'm selling my daughter's chair in case you or anyone you know is interested. 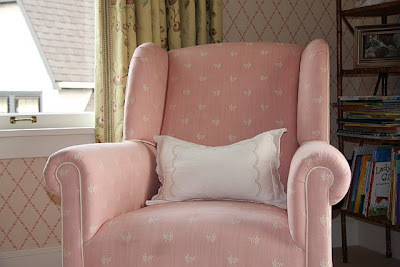 It's a Miller Pollard wingback rocker/glider with custom fabric. Please email me or call me (206.930.1235) for more info. Thanks! Two people inspired me to make a frittata for dinner - my friend Ali who whipped one up for her family before heading out the door to have dinner avec moi, and Kate McDermott who teaches the incredible pie making class and served one to us while we waited patiently for our pies to cook. It's been on my MAKE list ever since and last night I got to cross it off. Even more exciting was that it was fantastic. I used Martha's recipe for a Squash and Goat Cheese Frittata (from her Martha Stewart's Cooking School cookbook) as guidance. I googled a bit to see variations and then off I went. I can never make anything simple so I used more ingredients than necessary for a frittata and even did two different versions in the same pan (anyone else this crazy that they can't stick with one recipe?). Everything was the same except right before putting it in the oven I sprinkled some chopped Mama Lil's Peppers on half. This took the frittata from delicious to "oh no, I just ate 5 eggs worth of frittata" delicious. I'm going to start making frittatas for dinner now that I know what I'm doing. It's easy, delicious, and a perfect dinner when you have nothing planned. If you have eggs and some veggies in the fridge, you have yourself a frittata. You can use anything!!!..... onion, leek, garlic, spinach, zucchini, asparagus, mushrooms, peppers, potatoes, broccoli, chard, goat cheese, swiss cheese, parmesan cheese, milk, cream, ham, herbs, you name it, you frittata it! 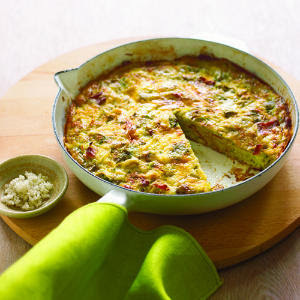 What to serve with a frittata? I served mine with buttered broccoli (shocker) and some delicious crostinis with goat cheese & chives. It would also be a perfect meal with a simple side salad and a slice of fresh bread. Slice a baguette into 1/2" slices. Brush with olive oil and put under the broiler until edges start to turn golden brown. If your broiler has been on for awhile this can take as little as a minute or two. Remove from oven and spread goat cheese on top, then sprinkle with minced chives. My internal clock is all messed up. I crave chocolate first thing in the morning and lately, instead of an afternoon sweet-tooth, I have an afternoon cheese-tooth. If I can hold out until 5:00 for cheese, I'll pour myself a little glass of crisp white wine and enjoy some cheese on bread or crackers. It satisfies me to no end and tides me over until dinner is ready. I'm currently obsessed with Montrachevre La Chevriotte soft ripened goat cheese on Sesmark's sesame rice thins. Creamy + salty & crisp = delicious. La Chevriotte and the sesame crackers both sold at PCC Natural Markets. 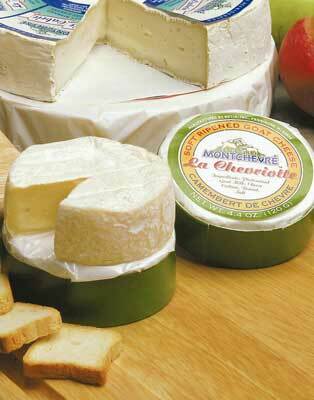 What's your favorite cheese for snacking? Anyone care to share? 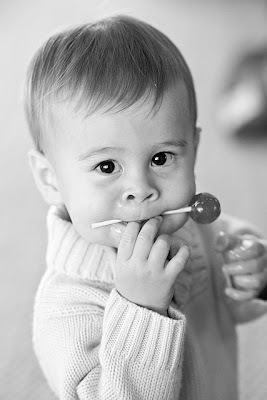 My friend Jennie always has the cutest family photos done so I tracked down her photographer to capture some shots of my kiddos. Her photographer (and friend) is Petra Varney and she was so great to work with. You can tell she really enjoys what she does and loves working with kids. And most importantly, she's a very talented photographer. 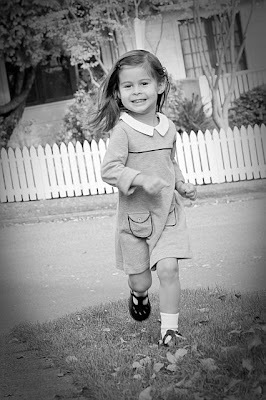 I know I'm a little biased but I think the photos turned out great. Two of my favorites shown here. I thought her pricing was really reasonable too. She came to my house, spent over an hour with my kids playing and taking pictures, went through all the photos and delivered me a bag with over 50 photos and a CD so I could make copies or enlarge them if I wanted more. Great experience. 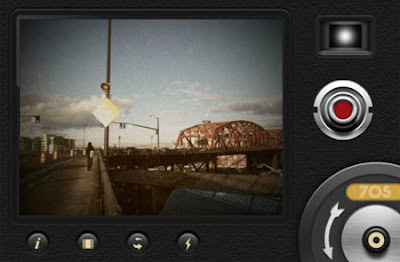 Great photographer. Great energy. Thanks Petra! I've been dying to try this recipe for Butterflied Chicken with Cracked Spices. It's been on my list since May so with my New Years resolution, to get through my Eat, Shop, See, Make, Read list, I'm tackling at least one new recipe a week. 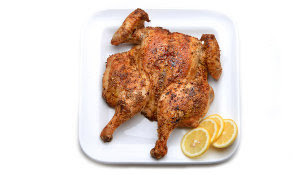 I bought a perfect little 3.7lb fresh chicken at the farmers market (courtesy of Stokesberry Sustainable Farms) and butterflied that bird to perfection. 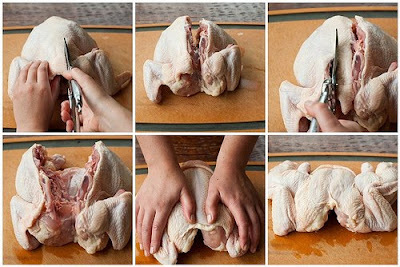 That was a huge feat since a week ago when I made Gwyneth's Quick Roast Chicken and had to butterfly a chicken for the first time it practically took me longer to cut the back out than it did to cook the darn thing (which made me feel like a complete loser). GP does it on the video in 20 seconds flat so I knew I could shave off say, 10 minutes if I kept at it. I think I did it this time in a few minutes. A huge improvement. I cooked this recipe for Butterflied Chicken with Cracked Spices with the oven option (rather than the grill) and it turned out great. I served it with Coconut Rice (using the recipe from the first comment), Ina's Roasted Carrots and steamed broccoli (healthy) with bouillon and lots of butter (unhealthy). It was a nice change of pace to have the new flavors on the chicken along with the new coconut rice recipe. I'm dying to make the rice again with a big pot of chicken curry. It was really begging to be smothered in a curry sauce. I'll also make this chicken dish again for sure. Easy and delicious. After dinner I pulled off the rest of the meat for leftovers and threw the carcass in a pot with some veggies for another round of chicken stock for soup. Not bad for one little 3.8lb bird. Never butterflied a bird before? Watch Gwyneth's clip or look at this diagram below. I wish you better luck than I had my first time. Authenticity. Belonging. Courage. Compassion. Connection. 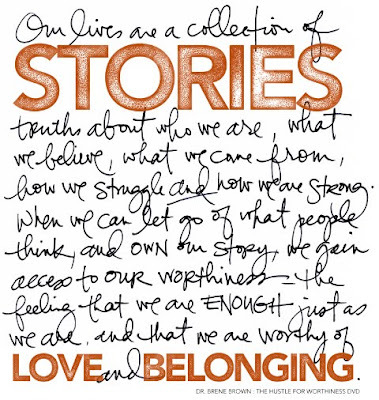 My friend sent me this great video from Brené Brown, Ph.D. I thought it was very interesting and definitely worth sharing. The video is only 20 minutes and something you can squeeze in at some point. Come on, you can spare 20 minutes! I know you don't want to watch it, but you should. My friend is also reading Brené's book, The Gifts of Imperfection, for the second time. She loved it so much, and got so much out of it, that she's reading it again and getting even more out of it this time around. Can't wait to check that out too. I want to give a big shout-out to my friend Tara who teaches an amazing Power Vinyasa Flow class on Mondays at Mountain Flow Yoga in Madrona. I've done this class the last two weeks and am hooked. It's an amazing workout, a great mental release, and full of ways to grow and strengthen your mental and physical practice. I love it and highly recommend it if you're looking for a great class. Sometimes I like to buy something at the farmers market that I've never cooked before to force myself to try new things. It also helps in my pursuit to eat seasonally and locally (and letting the available food dictate my meal planning, instead of my meal plan determining what I buy). The mushrooms available right now (in our area) are Black Trumpets, Yellowfoot Chantrelles and Hedgehogs. I'm not that familiar with these three so I asked the lady selling them (at Foraged & Found Edibles) what to do with them. She gave me several ideas including things like sauteing the Hedgehogs with butter, spinach and onion and serving over quinoa. Never would have thought of that. I bought some of the Hedgehogs and Black Trumpets and went home to google for recipes. I found a recipe for Wild Mushroom Pasta with Sherried Cream Sauce from the chef at Seattle's Steelhead Diner to use as guidance. Here is what I came up with. Turned out great. I will be back for more mushrooms next week to make it again. Serve with crostinis made from a great loaf of fresh bread (I love Tall Grass Bakery bread sold at the Ballard farmers market). Clean your mushrooms with a dry brush or towel rather than water. If you use water, try to let them dry out before cooking with them. Heat olive oil in a large saute pan or braiser over medium-high heat. When oil is hot (or lightly smoking) add all of the mushrooms. Do not shake the pan rather allow the mushrooms to lightly roast. If the mushrooms are wet, allow the moisture to evaporate off. This will be recognizable when you see only oil on the bottom of the pan again. Reduce heat to medium and add another little sprinkle of olive oil and the butter. Add garlic and shallots and saute for a few minutes. Season with thyme, salt and pepper. Add sherry and deglaze the pan with the sherry using a wooden spoon to scrape up any bits on the pan's bottom. Add chicken stock and bring to a quick boil, then reduce heat and simmer for 5-10 minutes. Stir in heavy cream and parsley. Add noodles to salted boiling water and cook according to package directions. Drain pasta (but do not shake to drain or rinse) and toss to coat with the sauce and season to taste. Divide amongst plates and garnish with parmesan. I got some white beans at the farmers market a few weeks ago that I've been loving. These particular beans cook much faster than traditional dry beans and I really love the texture and flavor. They're perfect for ribollita, minestrone or your own made-up hearty soup which is what I used them for last night. What better to pair these delicious beans with than the best chicken broth ever, which happens to be your basic chicken stock recipe with a ham hock added - courtesy of Mixed Greens Blog. I loaded up on veggies at the farmers market yesterday and had some Skagit River Ranch hot Italian sausage in the freezer plus a few leftover slices of prosciutto. All roads point to soup and there isn't much I love more on a Sunday night, or any weeknight for that matter, than a huge bowl of hearty soup. I consulted a few recipes (Kale and White Bean Soup from Epicurious and Pasta & Bean Soup from The Essential New York Times Cookbook) and was ready to roll. The beauty of a hearty soup like this is that you can't really mess it up. Throw in a bunch of veggies, a great stock and some flavorful meat (prosciutto, sausage or pancetta) and let her simmer for a few hours. Here's my latest version but know that any variation of this will surely be delicious. Heat the oil in a large stockpot over medium heat. Add the prosciutto and cook, stirring regularly, until it starts to crisp. Add the onion and saute for a few minutes. Add the carrots and celery. Cook and stir for about six minutes, until the vegetables are softened but not browned. Add garlic for a minute or two. Season with pepper. Add rosemary, kale, potato, bay leaf, parmesan rind (or two), chicken stock and tomato paste (or whole peeled tomatoes crushing with your hand). Stir to combine. Bring to a boil, then reduce and add the beans. Depending on the beans you buy they could take anywhere from 30 minutes to 3 hours to fully cook. Stir occasionally. While the soup simmers, heat some olive oil in a pan over medium-high heat and brown your sausage. Throw into the soup at any time. The longer it's in there the better. After the soup has cooked for an hour or so, remove the potato and mash in a small bowl, then return to the soup pot. This will create a creamier broth. (If you skip the potato you can also take out some of the soup and use an immersion blender to blend it, then return to the pot. Same effect.) Check for seasoning and serve with freshly grated parmesan. Note: I prefer cannellini beans to Great Northern beans because they are creamier and less grainy. Normally I would cook the sausage at the beginning but I forgot I had it when I started with prosciutto, so I just added it in later. Like I said, there are no rules to a good hearty soup. Stop! Don't Throw That Away! We go through truckloads of parmesan in my house. I put it on everything from soup to pasta to a grilled ham and cheese. I love me some parmesan. I make sure to keep the rinds for flavoring soup. Just throw them in a bag in the freezer and whenever you make soup, toss one in for good flavor. 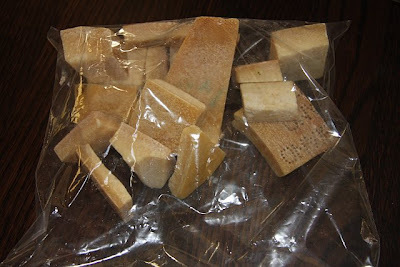 I use them in ribollita, minestrone, bean soups and more. I also took a cooking class once that did a broth entirely from parmesan rinds and then added spring veggies to finish it off. It was light and delicious. So next time you're about to toss a rind in the garbage, stop yourself and toss it in the freezer instead. I've never in my life worn concealer because I always hated the look of it on me. No matter how many people tried to sell me a new brand of concealer, I just never liked the chalky way it applied. Danielle sold me on Chantecaille's Bio Lift Concealer because as he was raving about it, he pulled it out of his pocket, rubbed it on a few places on his own face, blended it in with his finger and slipped it back in his pocket - all without a mirror and it looked great. It blended in so well and didn't have the cakey look I was used to. 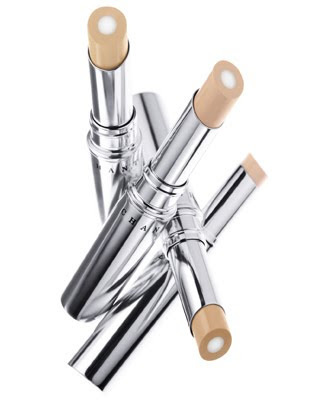 Part of the reason it applies so well is that it has some of their incredible eye cream within the concealer so it stays sleek and not chalky. After 20 years of wearing makeup, and never touching concealer, Danielle won me over. I'm also loving the Faux Cils Mascara. He said you can keep layering it and it won't clump. He's right. I love the way it goes on. He also introduced me to their Protection Naturelle SPF 46 which is a little puff of genius. I love the idea of a quick powder sunscreen you can use to touch up throughout the day without having to apply a messy lotion. Can't wait to add this to my makeup bag this summer. Go visit Danielle for some great recommendations on skincare products and makeup. He's a doll. 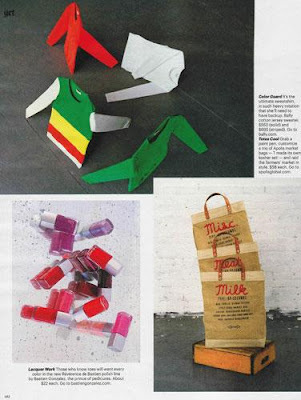 I love these Apolis Market Bags and thought it was clever how they labeled them in the New York Times Style Magazine. I love cool maps and I've always thought it would be fun to design a little boys room around a huge map on the wall - either something artsy and colorful or weathered and antique looking. 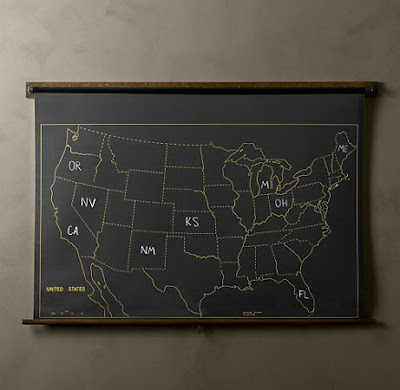 I just saw this Military Chalkboard US Map and thought it could even be cool, especially hung against a really fun wallpaper. I'm wild for wallpaper by the way. Today I went to the new High 5 Pie on 12th and Madison in Seattle. 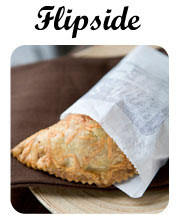 In fact, I'm counting down the hours until I can get back for another round of Flipsides and Cutie Pies. My friend and I tried the cherry almond Cutie Pie with whipped cream and several Flipsides - spinach & something, broccoli & something, chocolate and something, potato with dill. It was all SO good. I also enjoyed a delicious Fuel cappuccino. I do love me a good cappuccino and this one was perfection. Can't wait to get back there for a round of the same or some take-out desserts for my next dinner party. 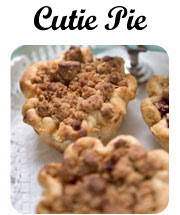 High 5 Pie grew out of founder Dani Cone’s love of eating pie with a cup of coffee. Using Grandma Molly’s favorite all-butter pie crust recipe, we create both classic and innovative sweet and savory fillings. High 5 Pies are a perfect blend of old fashioned goodness with some exciting seasonal offerings to please the most modern cravings. 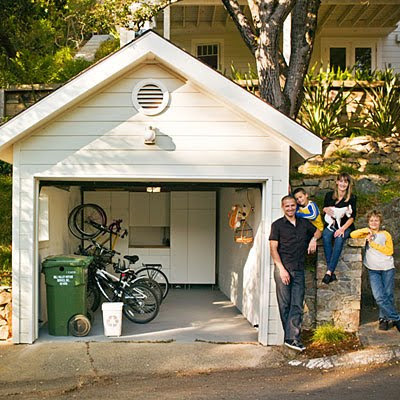 I'm embarrassed to say I might be the complete opposite of the family featured in the Sunset article The Zero Waste Home. While I try to reduce, reuse and recycle on a daily basis, I go through a hell of a lot of garbage and recycling. I'm ashamed at how much after reading this article and seeing how a family our same size can do it so well. While it's not in my cards to live like them, I can sure try harder to consume less and waste less. So cheers to one more resolution to add to the list! And off I go to empty out my storage unit and clear out those closets. I'm working on a list for 2011. It's my Eat, Shop, See, Make, Read list and has an ever-growing list of restaurants, stores, movies, events, books, articles, and recipes that I must tackle FAST because that damn list is growing by the minute. I have to admit, and this might sound pathetic, but while I love it, it overwhelms me. Just putting together a weekly menu can overwhelm me since there are so many things I already love to cook and so many things I want to try. While "the list" was created to help me focus and check things off, it also makes my heart race every time I have to add to it. I just finished the NYT's Magazine article "Recipe Redux: The Community Cookbook" (from October 6th which shows you how back-logged my reading is) and I have five more recipes to add to my list. One article checked off the list, five recipes to add. Help me. These recipes received the most votes during Amanda Hesser's research for her cookbook - The Essential New York Times Cookbook. Can't wait to try them all. Two great coffee shops I just checked off my list are Neptune Coffee and Lighthouse Roasters. Both made a damn good cappucino. Wishing you lots of great meals in the new year! I have always wanted to do a cleanse but this time I'm making it a New Years Resolution so I'm bound to it. I figure GP has done enough research for both of us so I might just go with her recommendation. Check out her latest GOOP newsletter on cleanses and stay tuned for my results (once I settle on a date and actually do it). 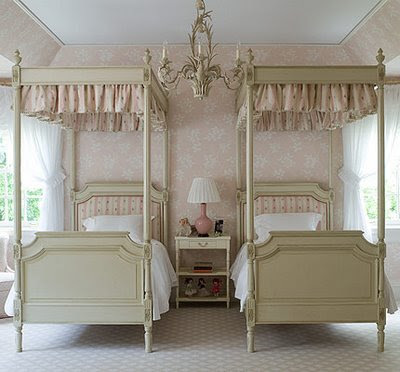 I just love this little girl's room by Leta Austin Foster. I'm really a sucker for any kids room with two great twin beds with cute bedding but this really takes it to the next level. 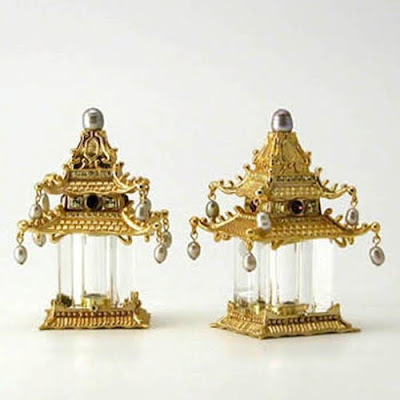 I'm wild about these Gold Pagoda Salt & Pepper Shakers from Gearys. I can't justify the price but I wish I could. They'd be perfect for my table. 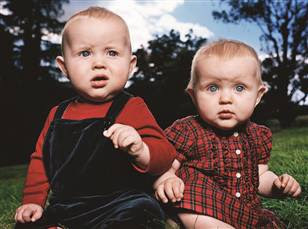 I really enjoyed the article Meet the Twiblings about a couple's experience with infertility, gestational carriers and egg-donors. It's quite interesting. My friend Lynne just told me about the Food Network's recent list of Top 50 Recipes of 2010. I know one of our all time favorite recipes made the list... Tyler's Chicken Enchiladas. Can't wait to see what else made the list. Cheers to a Healthier New Year! 2011: A chance to eat more vegetables, take more walks or add a multivitamin to your diet. We're offering 11 ways you can live healthier this year with the hope you'll find some inspiration. Cheers! Sometimes we can't resist the temptation of raspberries in January. However eating seasonally brings with it a wealth of benefits, from flavor quality to nutritional benefits to environmental impact. Chances are good if you're eating freshly harvested produce it's been grown locally. The less time your food spends on a boat or plane, the fresher it is and therefore the more nutrients it contains. You also support the local economy, and often pay less, because your produce hasn't traveled as far. Seasonal eating encourages a diverse diet too, which means a wider range of nutrients. Visit pccnaturalmarkets.com/inseason to view our seasonal produce chart of fruits and vegetables in the Northwest. You've heard it before but breakfast is the most important meal of the day. PCC Nutrition Educator Leika Suzumura says, "Breakfast gives us fuel for the day ahead of us. Studies have shown that we can think better when we eat breakfast, and children do better in school." If you find you're not hungry in the morning, try eating less at night. "Eating a balance of wholesome carbohydrates and protein in the morning and limiting sugar will give you the best source of energy," says Leika. Staying properly hydrated aids in digestion and can help with weight loss, energy levels and maintaining healthy skin. Winter hydration is particularly important as water helps keep your sinus passages moist, helping to fight against colds and other ailments. Invest in a stainless steel or glass container you can keep at your desk or in your car. You'll create less plastic bottle waste, and you'll be more likely to drink water when it's readily available. While their refined counterparts are more commonplace, whole grains offer a wealth of health benefits as well as versatility and flavor. Whole grains haven't been stripped of their bran and germ, the most nutritious part of the grain, providing you with more vitamins, minerals, even protein. They're excellent sources of fiber, which helps combat cardiovascular disease, and other chronic ailments. Check website to learn about the various kinds of oats. 5) Snack smart Snacking has earned a poor reputation over the years due to the empty calories found in traditional snack foods. However if healthier alternatives are chosen, snacking can be a good thing, as it can regulate blood sugar levels, minimizing hunger and thereby preventing overeating at mealtime. The most important thing is what you choose to eat — plain and simple, a handful of almonds or carrots is healthier than a handful of chips. Support good digestion and strengthen immunity with a probiotic supplement. While our body naturally produces probiotics — friendly bacteria located in the gastrointestinal tract — stress, along with environmental and food toxins, frequently destroy the probiotics in our body. This can lead to bacteria-related health issues, such as poor digestion, headaches, sluggishness and irritability. Consider taking a probiotic supplement, or find healthy doses of probiotics in yogurt and kefir. These heart-healthy fats can help prevent a wide-range of health problems, including cardiovascular disease, depression, fatigue and rheumatoid arthritis. Fortunately it's easy to incorporate foods rich in omega-3s into your diet. Salmon, flax seeds and walnuts are excellent sources of omega-3s. Cauliflower, cabbage and scallops also are good sources. And organic and grass-fed beef and dairy have two to four times more omega-3s than meat or dairy from grain-fed animals. Many people don't get enough calcium, magnesium, iron and zinc. Additionally, special diets sometimes lack certain nutrients. But in one convenient dose, you can get all your bases covered with a daily multivitamin. We offer a wide-range of multivitamins in our line of PCC supplements, from a basic multi to blends geared for teens, pregnant women, seniors and vegetarians. Also known as brassica vegetables, cruciferous vegetables are superstars when it comes to the nutritional punch they provide. Arugula, bok choy, broccoli, Brussels sprouts, cabbage, cauliflower, collards, kale, radishes and rutabagas boast vitamins, fiber, and disease-fighting phytochemicals that may lower your risk of getting cancer. Cruciferous vegetables also can contribute a surprising amount of protein to your diet. At a minimum, try to include cruciferous veggies in your diet two to three times per week. Replacing a cup of coffee with a cup of tea not only reduces your intake of caffeine, but teas often contain compounds that boost immunity. You'll find a variety of flavorful Fair Trade blends in our bulk department, from Gunpowder to White Peony, Ceylon Orange Pekoe to Jasmine Pearl. It's a great way to sample different blends, affordably. What you put on your body is just as important as what you put in it. As the body's largest organ, your skin should be nourished with vitamins, antioxidants, essential fatty acids and natural enzymes instead of chemicals and artificial ingredients. You'll find a wide, varied selection of skin care products at PCC that are safe for your skin, helping to restore the body rather than deprive it of vital nutrients. I had four yams in the cupboard haunting me for weeks after Thanksgiving. I cannot waste food so I had to cook those damn yams but wasn't in the mood for anything too yammy. What to do, what to do. I used my friend Tara's recipe for roasting the yams and since they were cut into small chunks, I thought they'd be perfect for a salad. I had leftover spinach and dressing from the night before (I can't stop making Ali's Spinach Salad with Apples & Fennel) so I decided to make something up using those ingredients. I threw in some other items from the cupboard and voila - a delicious new salad recipe. Preheat oven to 400. Peel yams and cut into large bite-sized pieces. Peel 6 cloves of garlic. Put 1/4 cup olive oil and 2 t maple syrup in a glass jar and shake vigorously. Toss yam bites and whole garlic cloves in a large bowl with the olive oil/syrup mixture, 2 rosemary sprigs and salt and pepper. Transfer to a cookie sheet and bake for 30 minutes, stirring a few times while it roasts. After 30 minutes the yams should be fork tender and ready to eat as a snack or in a salad.